When your stove gives you trouble, it can make cooking difficult or even impossible. No matter the make or model, Max Appliance Repair always comes prepared to complete stove repairs on the spot. We are available throughout the Greater Houston Area for your convenience. Your stove deserves the best when it comes to repairs. Your stove deserves repairs that will last and ensure that your meals come out just as they should. Call Max Appliance Repair for reliable stove repairs anywhere in the GHA. Getting your stove back up and running sooner rather than later is a must. It’s no fun trying to cook a meal on a faulty or broken stove. Not to mention to cost or inconvenience of ordering out. For fast stove repairs by trained professionals, call Max Appliance Repair today. When you call somebody to repair your stove, you are trusting these technicians to get the repairs done properly. Not only do we stand by our work, but we also like to set our clients’ minds at ease by providing professional and reliable repair services. We treat every stove with the utmost respect and care to ensure complete and thorough repairs. A: Time is a significant concern for many. Life in the Greater Houston Area is about as fast-paced as it gets which means that even the smallest of hurdles can prove challenging. 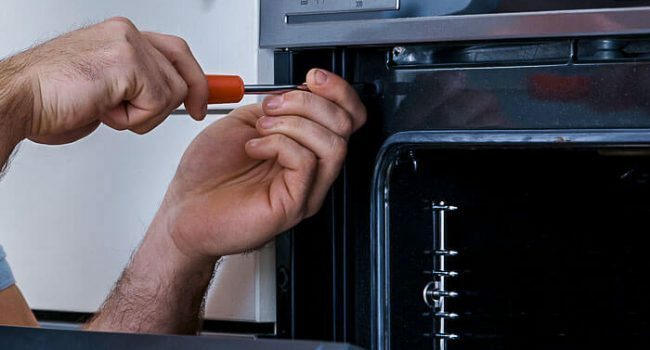 When you call Max Appliance Repair, you can be sure that our team will come prepared with parts and tools to fix your stove on the spot.